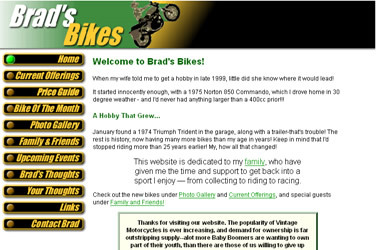 Brad's Bikes buys, restores, and sells vintage motorcycles. 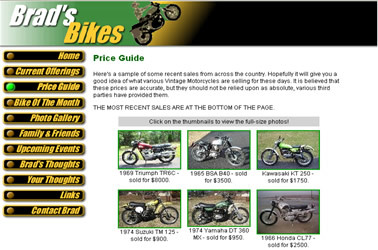 To maintain their site, constant uploading of images was required to display their ever-changing inventory. 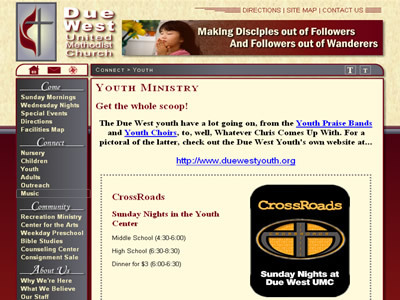 Cordsworks.com built an easy-to-use custom administrative tool, allowing this task to be achieved in minutes without requiring any knowledge of HTML. 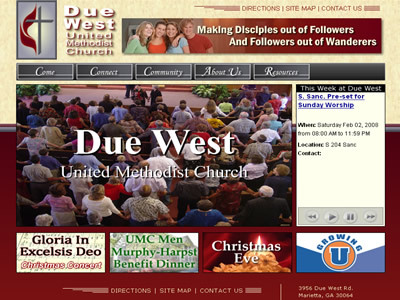 Going live within a few days, the new website for Due West United Methodist Church in Marietta, GA represents a vast improvement both in style and ease of maintenance, with content-management tools and integrated calendar system. 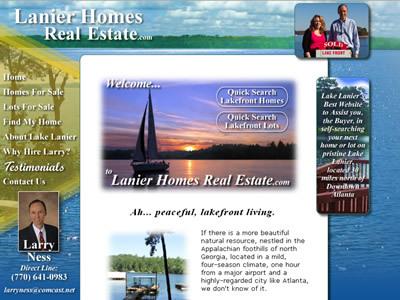 Realtor Larry Ness wanted an attractive website to help people seeking lakefront property or a waterfront dream home near gorgeous Lake Lanier. 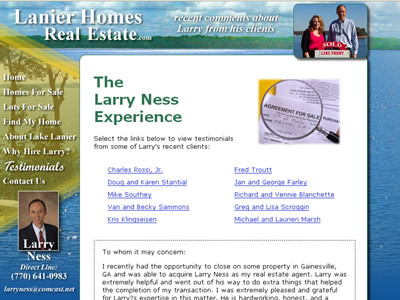 Cordsworks.com worked with Larry to make his presence on the web one to be proud of, and when technical problems with Larry's ISP made it difficult to receive customer contacts, Cordsworks.com was immediately available to provide technical assistance.